Four years ago, Dezirae Ninow did something amazing – something most of us take for granted, but something unheard of in her family. 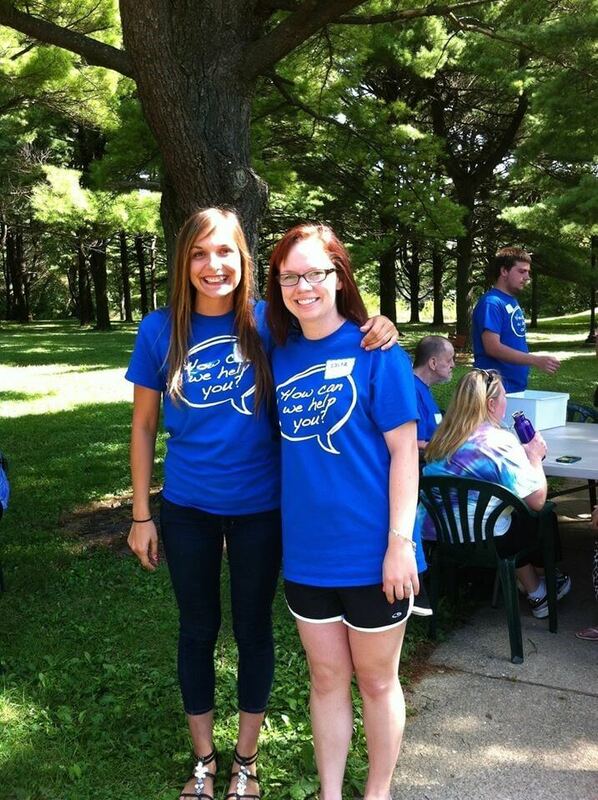 Dezirae, left, at a Best Buddies event. When she crossed the stage at NIU last Saturday as a first-generation college graduate, Dezirae hurdled another mountain. Dezirae’s determination comes from surviving what she calls a “kinda rough” childhood, moving from one place to another – experiencing financial hardships – declaring her independence while a student at Plano High School. The journey wasn’t easy. With no roadmap for this fourth-of-five children to follow, Dezirae navigated her own college search. NIU was nearby, and when happy faces and helping hands greeted her – she knew this was the place. Juggling course overload, summer school, multiple jobs and extracurriculars at the expense of sleep, she’s represented the College of Education as a Northern Lights Ambassador. She’s been a tour guide, a peer instructor and a co-president of Best Buddies, which pairs college students and adults with special needs for friendship. 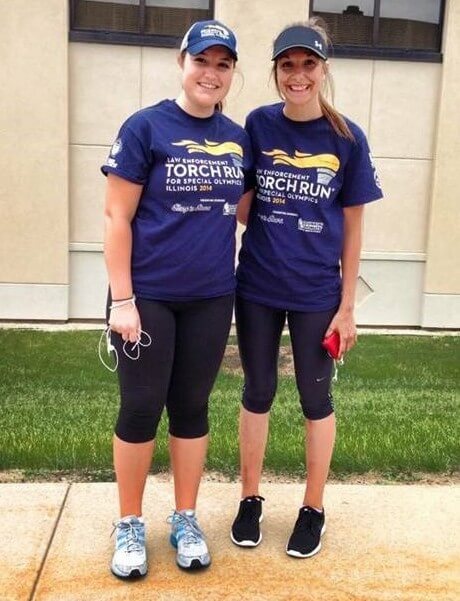 Dezirae, right, participating in the Special Olympics Torch Run. This year, she’s worked at Sylvan Learning Center and has student-taught first-graders at North Grove Elementary in Sycamore. Her childhood dreams proved spot-on. She cherished her students, adored being funny in front of them, and treasured the silly things they say to her. Next fall she will teach third-graders in Des Plaines. Those kids don’t understand yet just how lucky they are. Her parents joined her at graduation, and they were happy and proud. They love her, and she loves them. And Summer, Dezirae’s 16-year-old sister, the younger sibling who inspired her to become this role model, got to see first hand what a convincing advocate for the rewards of education her sister has become. As her big sister I couldn’t be more proud! She’s always has been extremely passionate about school. I cany wait to see her many more acomplishments CONGRATS DEZI! It was a long hard road but you made it!